Are you starting to notice weeds and tree saplings poking through the soil in your flower beds? Does that black mulch you put out last year look more like a dull grey now? Does it seem like your flowers, shrubs and ornamental trees are starting to turn brown and look discolored? It could be because they are not receiving enough water which might be because your soil is not able to retain the water it is receiving. It could also be that the roots are getting stressed out due to changes in the temperature. A mulch application is a good remedy for these problems. If you are noticing all these issues then it might be time to consider getting some mulch applied to your flower beds and natural areas. And you know what? Augusta Lawn Care and Maintenance has got you covered (literally covered, with 100% natural mulch). Did you know that too much mulch can actually lead to increased risk of insect activity and disease for your plants? 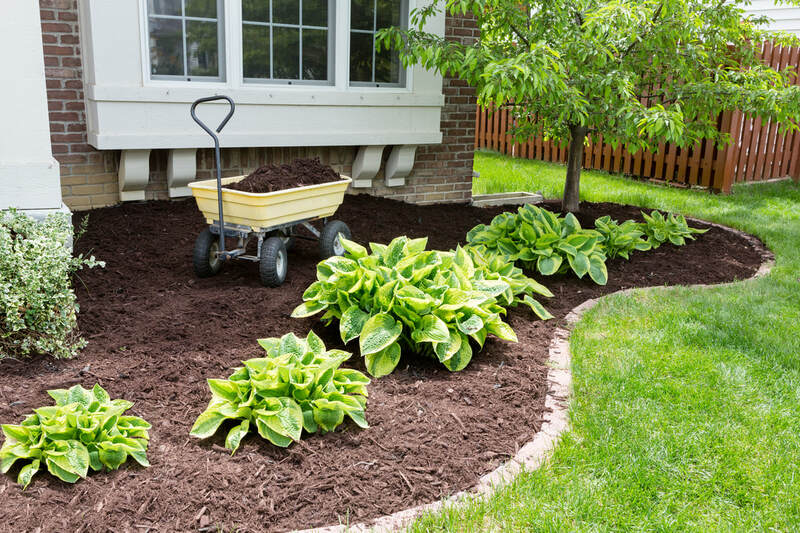 Well, we at Augusta Lawn Care and Maintenance know, and we will apply our expert knowledge to the growth and maintenance of your plants by providing the correct amount of mulch so that your plants can grow to their full potential . We also know that weeds love open spaces to take root in. Reduce the amount of space they have to grow in your flower beds with some natural mulch. ​A layer of mulch, over time, will also provide some nutrients to the soil as it breaks down. This has the added benefit of providing some nutrition to your plants without you having to get expensive plant fertilizers. Having that extra layer of protection on top of the soil will also protect the soil from erosion due to the frequent, heavy storms that Augusta is known to get, especially in the developed areas of Columbia County. So keep the dirt in your flower beds where it belongs by getting an application with Augusta Lawn Care and Maintenance. Now we’ve explained the benefits of mulch, but you’re only able to get these benefits if you actually put down the product. Now sure, you could go to your local garden center and grab some bags of wood chips only to find halfway through the job that you didn’t get enough bags. Let us help you out. We bring our mulch by the truckload so you don’t have to worry about how much you’re getting. What if you’ve got some nice pebbles or even the some of the new shredded recycled tires? We can put these in place for you as well with a negotiated price. Give us a call and let’s get your plants taken care of, because the best results are just a phone call away!